Foreclosures in Greenville SC - The process of Greenville SC foreclosures starts when a property owner becomes delinquent on their mortgage. After the owner has missed three or more payments the bank can hire an attorney and start the foreclosure process. First, a lis pendens is filed at the Greenville Court House and the homeowner has to be served with the foreclosure documents so they are aware of the pending action. Once the homeowner has been served, they have a chance to respond to the claim and a hearing is set in front of the Greenville County Master in Equity Judge. After the judge hears the case, the homeowner has a chance to plead their case to the judge and the judge will make a ruling. Usually at this point, the judge sets a foreclosure sale date unless the homeowner can work things out with the lender and can reinstate the loan before the foreclosure sale date. If the homeowner is unable to reinstate the loan, or unless a forbearance agreement with the lender is reached, or unless a short sale agreement is achieved, the property will be auctioned at the Greenville County Courthouse. The lender usually places a bid equal to the amount owed on the property. In today's market, many homeowners are upside down on their home loans and owe more than their home is worth. In most cases, there is not any equity in the properties being foreclosed on. If the property is not purchased by a third party bidder, the bank will get the property back at which point the judge issues the high bidder a foreclosure deed and the deed is filed at the Greenville County Register of Deeds office. Like any other area in the US, sales of foreclosures in Greenville SC can be very risky. As a third party bidder you are subject to your bidding actions and if you do not pay for the property in full, you can be liable. The bank may request a 30 day deficiency judgment where the bidding remains open on some properties for 30 days. Also, there may be be tax liens by the IRS or judgments that attach to the properties so you should always have a title search done on a property before considering to bid on a foreclosure property. After the bank takes the property back, the bank will contract a local real estate broker like New City Real Estate to help to do a Brokers Price Opinion on the property to try and asses the current market value of the property. The bank will ask the broker to help to get the property cleaned up, listed, and put on the market for sale. Some bank-owned properties may be priced to sell as soon as they hit the Greenville MLS or Upstate MLS systems. Other times the properties may be priced higher and it may take months before the price is reduced enough for the owner occupants or investors to feel the property is priced fairly enough for the current condition of the property. Fannie Mae, Freddie Mac, and HUD homes make up a large percentage of the foreclosure homes that are being put back out on the market for sale. Many of these homes have a 15 day owner occupant time period where only purchasers looking to live in the home may make an offer to purchase the home in the first 15 days of the home being listed. This holds investors off from making offers to purchase the property in the first 15 days. New City Real Estate has been working with many lenders in liquidating these lender bank owned foreclosure assets for years in the upstate. New City lists many of the foreclosure properties in the Greenville, SC and Upstate, SC areas and has been servicing this side of the real estate market for 10 years, long before the market fell at the end of 2007. Please click here to see some Greenville Foreclosure Homes that sold recently or here to see some recent sold Waterfront Foreclosures. 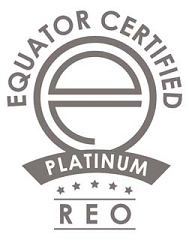 New City Real Estate is experienced with short sales and is Equator REO Platinum Certified in handling and liquidating bank owned distressed assets. So, if you are looking for foreclosures in Greenville SC be sure to contact a qualified and experienced forclosures real estate agent. Foreclosure. Large four bedroom three bath mobile home on permanent foundation. Home sits on an acre of land. Spacious 3 bedroom on perm/foundation , open floor plan , nice level lot for your outdoor needs . Spacious 3 bedroom 2 bath home in country setting with unfinished basement , minutes to shopping and schools on 1 acre lot , come take a look .